Fish in Schools program that had been running in North Canterbury for the past ten years. Fish in Schools involves schools raising salmon from ova to smolt in purpose built fish tanks in classrooms. The aim is to give our students the opportunity to raise salmon from the egg stage to fingerlings in the school environment. 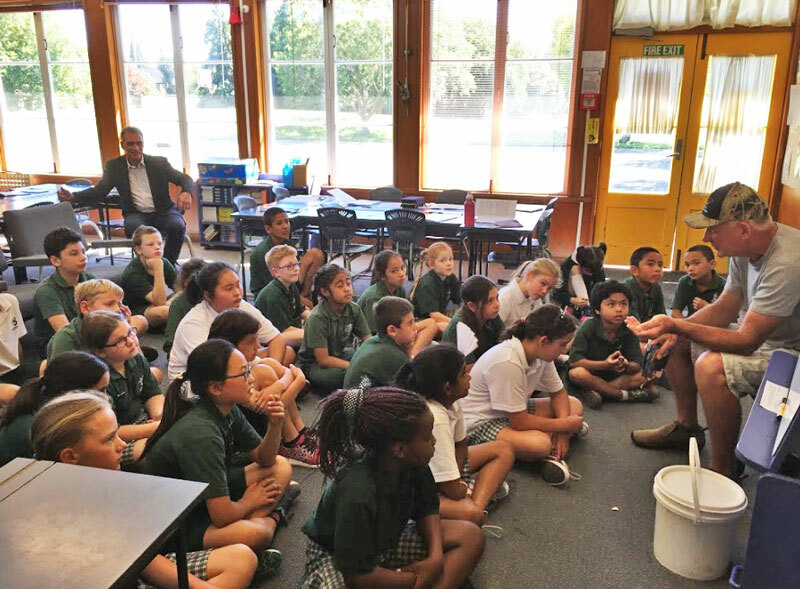 The salmon eggs are supplied from the North Canterbury hatchery and are raised by pupils with the support of volunteers and teachers over several months in specially constructed tanks in the classroom. Once the fish have grown to fingerlings they are then released into local waterway. For us it is the Wairarapa Stream that extends past Cobham Intermediate. Come in and have a look at one of our tanks in our school library.